Forklifts are everywhere. Whether it is in the construction industry, for agriculture, industrial distribution, poultry or even defense services, they are absolutely everywhere. There is also a good reason for that; they are perhaps the most useful material handling equipment ever made. First invented in 1906, forklifts have come to be an integral part of the material handling industry. An industry, that plays a crucial role in the economy of developed and developing nations across the world. It should, therefore, come as no surprise that there are more than 900,000 forklifts in use in the United States alone today.The reason for the popularity of forklifts lies in the uses they serve through their simple yet effective design. They are not terribly complex machines yet they can complete complex tasks. This makes them cheap, effective and desirable for material handling businesses all over the world. There are in fact, a lot of different types of forklifts. Each type is able to perform a specific function with extreme accuracy. As such, it is imperative for fleet managers to be familiar with the main types of forklifts. Only then will they be able to decide which forklift suits their business the best. It would also help them decide the age old question, whether to buy a new forklift or to purchase a used forklift truck for sale. 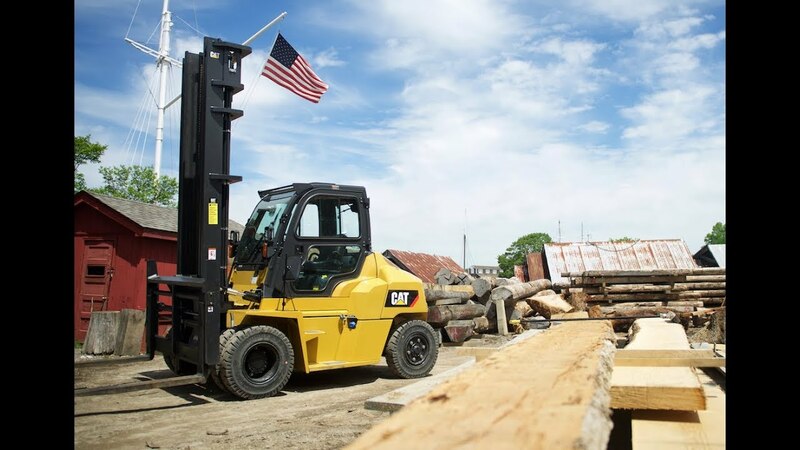 In this article, we shall take a brief look at some of the most commonly used types of forklifts not just in the United States, but all over the world. By the end of this article, you shall have a better understanding of the various types of forklifts, their features and their applications. It is important to note here that the types of forklifts are not the same as classes of forklifts. There are only seven distinct classes of forklift bases on fuel options and applications. Yet, there are countless types of forklifts based on the way they are used in different industries. Industrial reach forklifts are most commonly used in warehouses and storage facilities. As the name suggests, they are capable of reaching extended heights. This is thanks to long fork arms that slide under the load and have the ability to grip onto the edges for increased stability.This makes them ideal for warehouses with high rise storage pallet racking. Within industrial reach forklifts, there are further two types; the stand up trucks and double deep trucks. They are very similar in build and design, however double deep trucks have longer forks. Due to this unique ability of industrial reach forklifts to reach high extended racking, they are commonly sold as used forklift trucks. However, you have to be sure to purchase them from a reliable retailer such as Truck Forklifts who have expertise in the matter of used forklifts. They can pinpoint whether the forklift in question is fit to be sold as pre-owned equipment. These are perhaps the most commonly used forklifts used for indoor loading, unloading and transportation of equipment. They use a simple counterbalance placed at the back of the forklift to counter the load lifted by the forks. This makes them easy to operate and highly efficient. There are models with four as well as with three wheels. This affects the maneuverability and speed of the forklift. Rough terrain forklifts are specifically designed to work over uneven surfaces. They have hard suspension and impeccable stability in order to transport loads across rough terrains. For obvious reasons, these types of forklifts cannot be used indoors and are most commonly used in the construction industry. They have powerful engines which make them speedy and efficient across rough terrains such as mud, marsh and rocks. 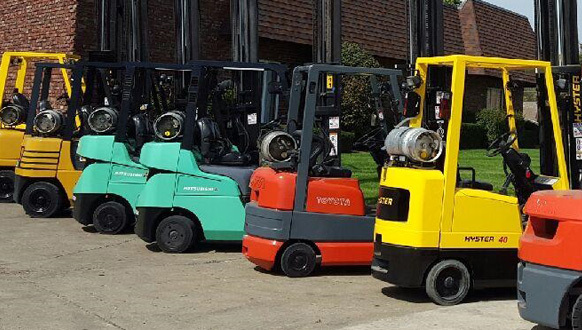 These forklifts are most commonly used indoors in warehouses and storage facilities. The forks on this particular forklift are mounted on the side instead of the front. This is because the dimensions of some loads are too big and ungainly to be carried by front mounted forks. Therefore, side loader forklifts are able to life loads that are wide or long, which would have otherwise been impossible for a counterbalance forklift to lift. It is called the telescopic handler because of its ability to lift high loads and access high spaces. Since agriculture and poultry industry often require loads to be lifted higher than in other industries, that is why the telescopic handler forklift is most commonly used in those industries. This type of forklift can also serve various purposes with the help of attachments such as lift table, bucket, pallet fork and muck grabber. These were just some of the most commonly used types of forklifts in the United States. Be sure to read up on many other types of forklifts that are use in other countries for other purposes.